Wirehouse UBS has recently introduced a new program to help advisors serve 401(k) plans with less than $5 million, WealthManagement.com reports. Under the new Retirement Plan Manager program, UBS will be able to act as a fiduciary and not just as a broker-on-record, according to the web publication. The program is different from what UBS’s competitors are offering in that it offers more flexibility to the client by way of an option of several recordkeepers, Gene Silverman, an executive director at UBS Global Wealth Management, tells WealthManagement.com. 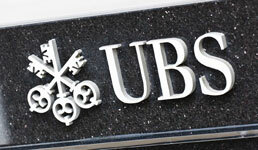 The new program is separate from Retirement Plan Consulting Services, in which around 150 UBS advisors work as institutional consultants with around $85 billion in assets held by approximately 2,000 retirement plans, the web publication writes. The company decided to launch the program in part because of a rising preference for fiduciary relationships with investment advisors, spurred by the now-defunct fiduciary rule from the Department of Labor, says Jim Hausmann, head of corporate solutions and retirement services at UBS Global Wealth Management. The DOL’s rule purported to require retirement account advisors to put clients’ interests first but was vacated by an appeals court this spring. UBS’s program could also help UBS advisors land corporate executives and participants of the plans as individual clients, as well as nudge existing clients who are small business owners to use UBS’s retirement program, according to the publication.